Technology is changing very fast and makes our work easy. On the other hand the security is a measure concern these days. We are living in a time where every company, organizations are spying you to increase their business. I am sure you must have seen some notifications on few websites that they use cookie. What does that mean? They track what you browse and depending on that those companies gets an idea what you are looking for and then they can offer you their similar products and can increase sell. Also they gather your information and use it for business or even sell that information and make huge money. One way to stay from spying and tracking is to stay anonymous while you are browsing the internet. 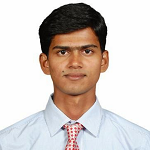 There are many paid and free stuffs that can help you in this work. Hide My IP is one such tool that helps you to be anonymous while surfing the internet and keep your data secure. This not only helps you to protect yourself from the boots but also from eRobbers and Hackers. 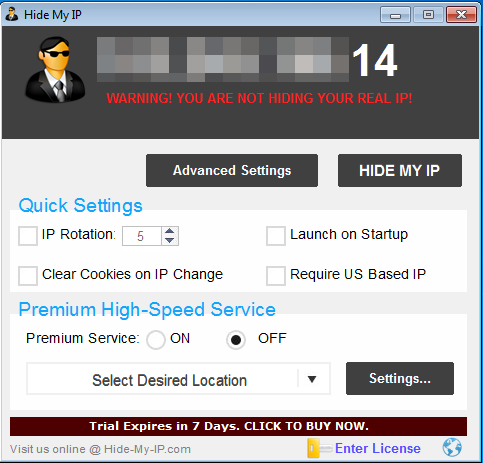 Hide My IP is a private proxy and VPN tool which is available for all the operating systems and platforms like Windows, Android, and Mac etc. This is a wonderful tool to protect yourself from illegal online attacks and also allow you to access blocked sites. You can call Hide My IP as your online security guard and privacy protector. The working of Hide My IP is very simple. Whenever you enable Hide My IP and connects to internet, it makes a proxy connection rather to make direct connection with internet. These proxy connections are getting maintained from different servers and hosts from all across the world. Since it uses a proxy connection rather than the direct connection and uses different IP all across the globe so whenever you will visit any website, that website will have the fake IP rather than any real data. Hide My IP restores the IP of your computer back after stopping the service and your real IP will be shown. It almost provides 70 IP addresses to choose from different locations of the world without any risk of online privacy. Installation of Hide My IP is also damn easy. All you to do is to first download the software from Hide My IP site for FREE. Then install the software on your computer. After installation restart your system and then it will show you a pop up box showing your real IP and will ask you if you want to start Hide My IP with system start itself. 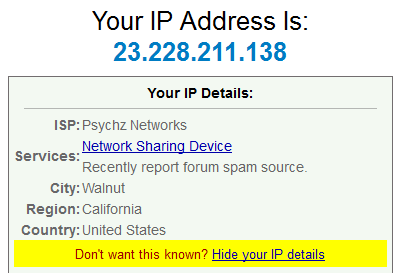 Now to Hide your IP, all you have to do is to click on the “Hide My IP” button. Once you click this option, system picks the random IP address and once the proxy connection is setup, you will find the new IP address that is seen to others on the pop up box. Like currently it is using some IP from South Korea. With Hide My IP, you can even select the IP address depending on your choice. For this all you have to do is to subscribe for high Premium service and then select the desired location. But if you only want specific to US, then it’s too easy and there is no need of high premium service and using the “Quick Setting” option you can do this. Now each time you will start Hide My IP, an IP from US will be shown. You can also do some more settings on “Advance Setting Option”. Here just click on advance setting button and you can select which all browser you want to protect and other settings like SSL. Hide My IP Features- Why You Should Use this? At this point, you must have a clear idea about what Hide My IP is and what it does. This helps you to hide your IP and keep you safe and secure online. There are few more features of Hide My IP that makes it bit more helpful. 1. Flexibility & control over browsing: As it enables you to select from 70 different IP locations and so keep you safe and secure online. 2. It keeps the data secure and so you can do surfing freely. 5. Rotate IP at every time interval. Looking at the features and security of this amazing software, I think the company has not kept much price for this tool. First of all you can download Hide My IP free try for 14 days and after that you can go with premium. It just costs $25.95 and works with Windows 10 / 8 / 7 / Vista / XP / 2000 / NT, Mac OS X 10.6 - 10.10, Android. Also if you are not satisfied with the service (I am sure this won’t be a case), then also you can ask for the money back. Company provides 30 days of money back guarantee with no question ask. Isn’t this amazing? As per my view, Hide My IP is a worth tool for all those who spend quality time over internet and do some business from the internet. Do try its free service at least and continue with premium further, if you like. It’s auto changing IP address and auto deleting browser cache are amazing features. Are you using any such tool? If yes, do let me know in comment. Also if you liked the post, consider it for sharing on social media. Bonus: Convert your Important files and web pages into PDF.